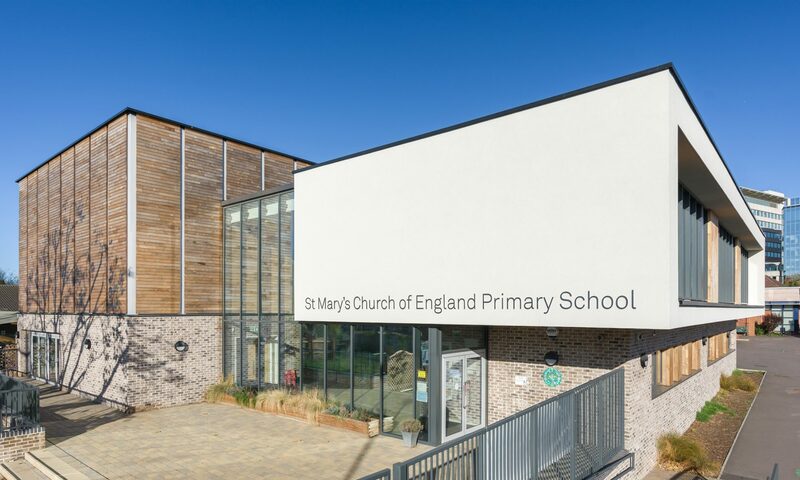 The expansion to St Marys CE Primary School comprises a 1 FE extension providing 6 new classrooms and 2 refurbished classrooms with associated shared areas and external teaching spaces. 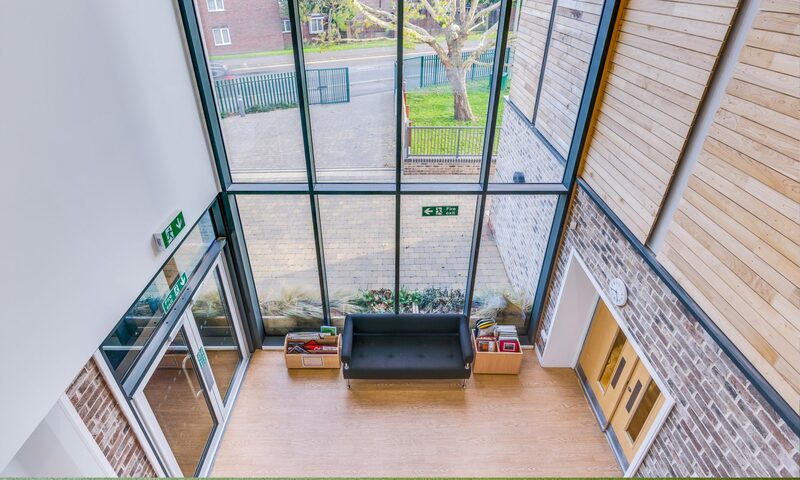 In addition a new building containing a new hall, school entrance, admin and staff facilities is also provided. 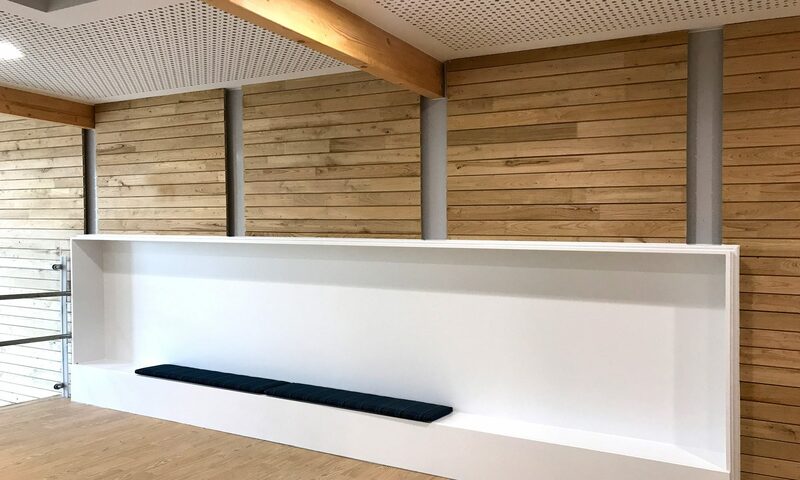 Existing spaces internally are reworked to improve circulation and provide a focus to the centre of the school for a new learning resource area and ITC suite. 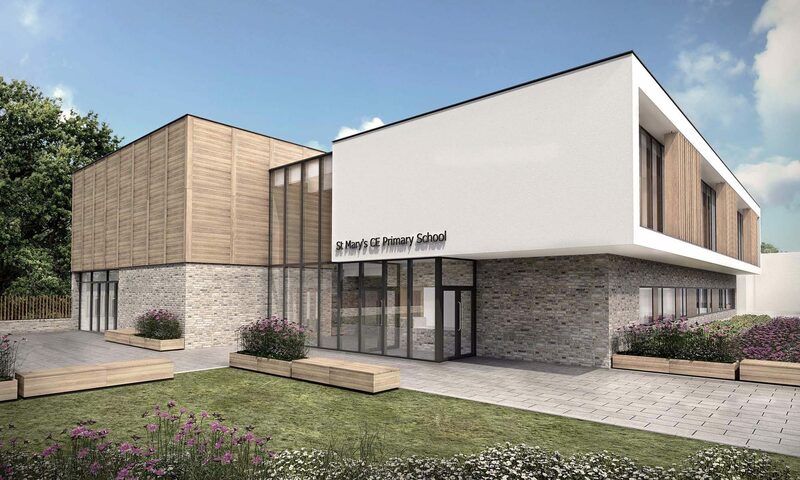 The scheme aims to radically alter the existing school, to rationalise and make sense of a disorganised series of circulation routes and provide a new visual face to the school. 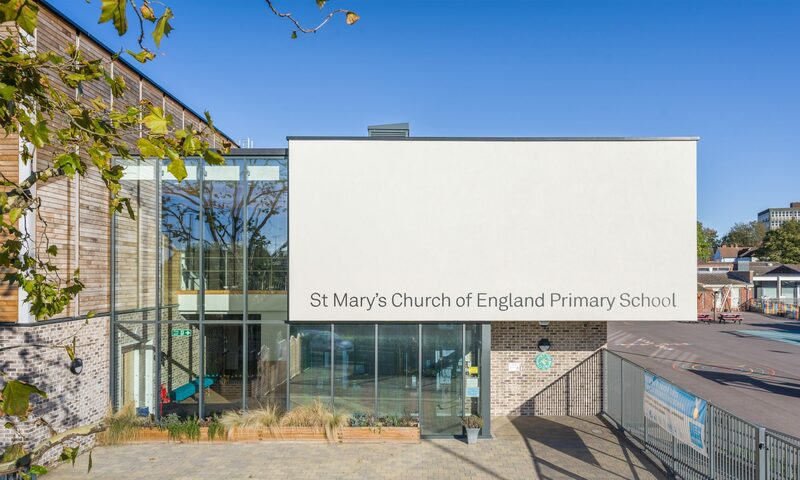 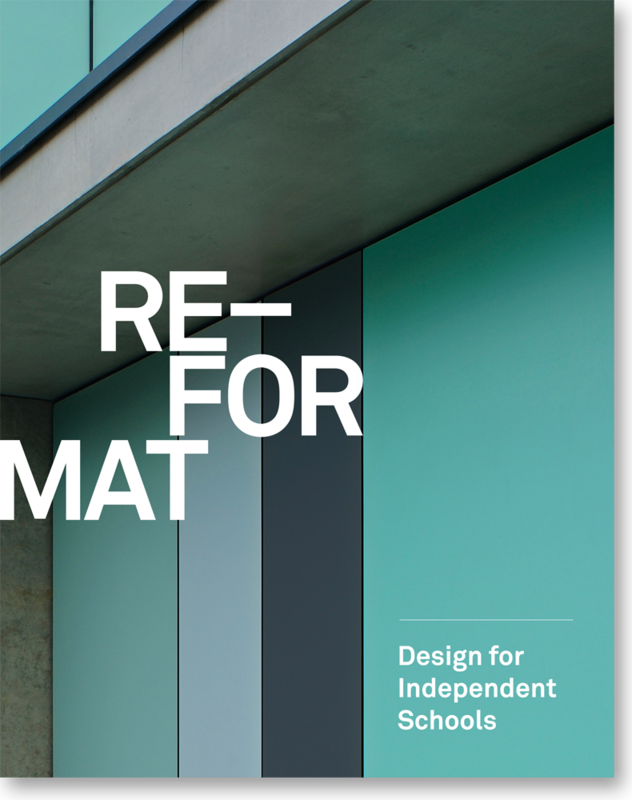 “Working with Re-Format has been a positive experience for St Mary’s. 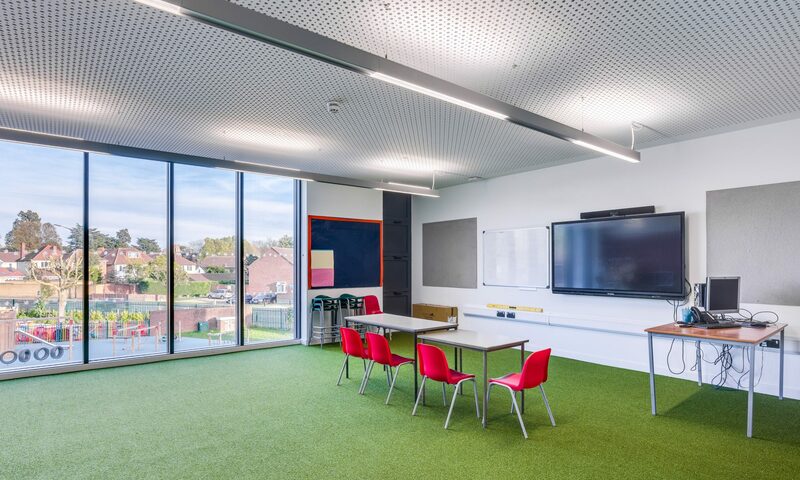 From their initial visit we were sure that Re-Format was the company who would provide the right buildings for our school. 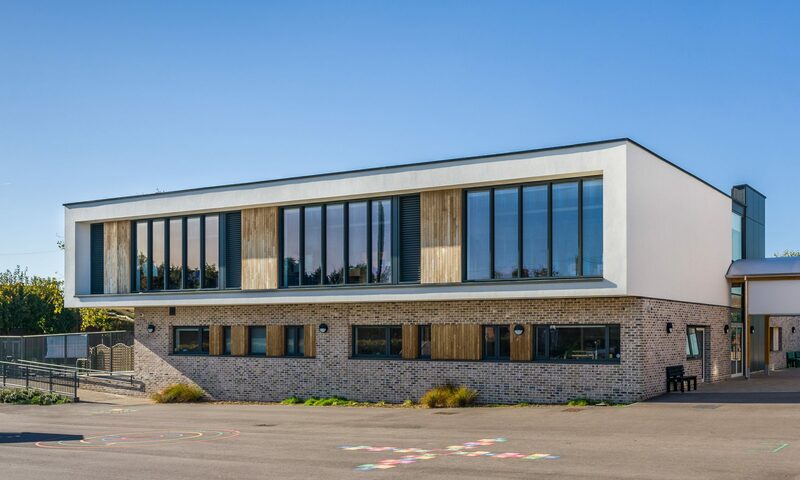 The completed buildings are stunning – a beautiful combination of brick, glass and wood – which make the building stand out magnificently whereas before we were hidden from view.